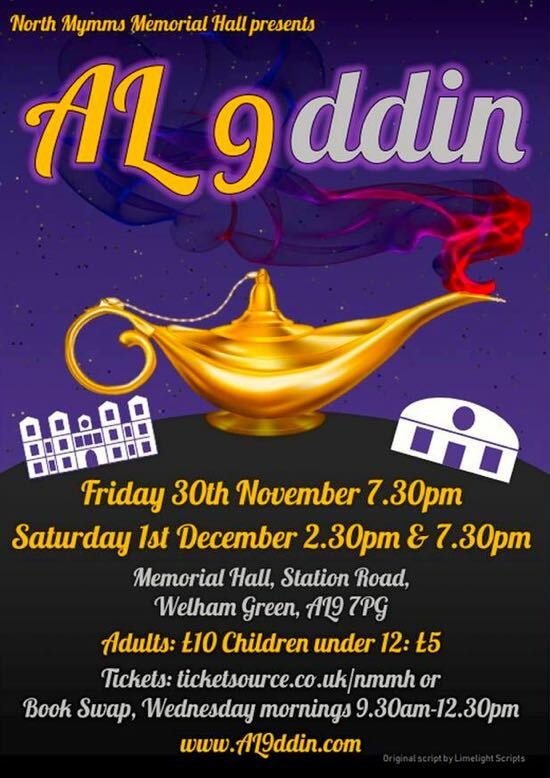 Rehearsals are continuing this week for the three performances of Aladdin - renamed Al9ddin in this postcode-localised remake - at North Mymms Memorial Hall on Friday and Saturday. At the time of writing there are just 10 tickets left for the show. 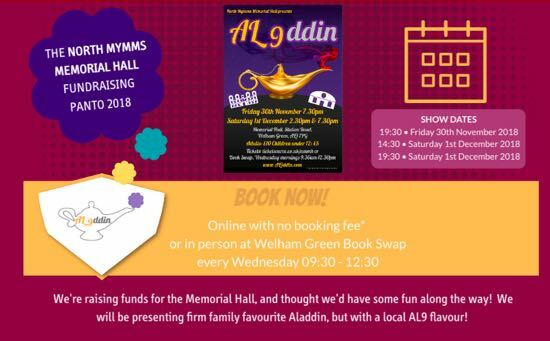 There will be three performances of the show - two on successive evenings and one Saturday matinee - which is being staged to raise funds to support the upkeep of the North Mymms Memorial Hall. According to those staging the event, the North Mymms AL9 twist will run throughout this localised version of the seasonal family favourite panto. "Local laundry boy Aladdin is tricked by Abanzer from Brookmans Park into finding a magic lamp hidden deep in a cave beneath the lake in Gobions Wood - but Aladdin has his eyes on a different prize, the beautiful Princess Jasmine of Hatfield, kept hidden away in the palace by her protective father, the Emperor of Hatfield. "Will Aladdin find the lamp and give Abanazer unstoppable powers? Will Aladdin and Jasmine ever get to meet? Find out as this all-age local cast and live band bring this fabulous tale to life." There are two evening performances and one matinee, with the panto is being staged on Friday, November 30 at 19:30, and again on Saturday, December 1, at 14:30 and 19:30. The cost is £10 for adults and £5 for children under 12. Tickets can be purchased from the North Mymms Book Swap, or online at www.al9ddin.com. Peach Pubs says "nothing changing at Brookmans"
Would you pay to park at Gobions Open Space?